You'll receive three x's English crow feather. They have been ethically gathered and cleaned. Very useful to use as a smudge feather, either as they are or to make a smudge fan with. Also beautiful secured into your hair as hair feathers. 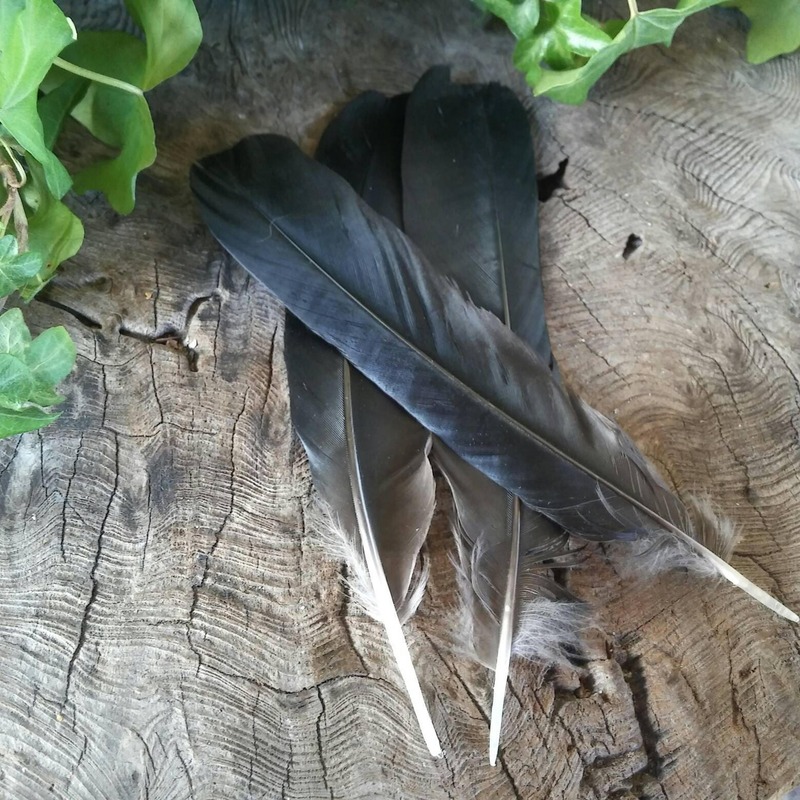 Fab hat feathers, craft feathers, or for use in witchcraft, so many uses! 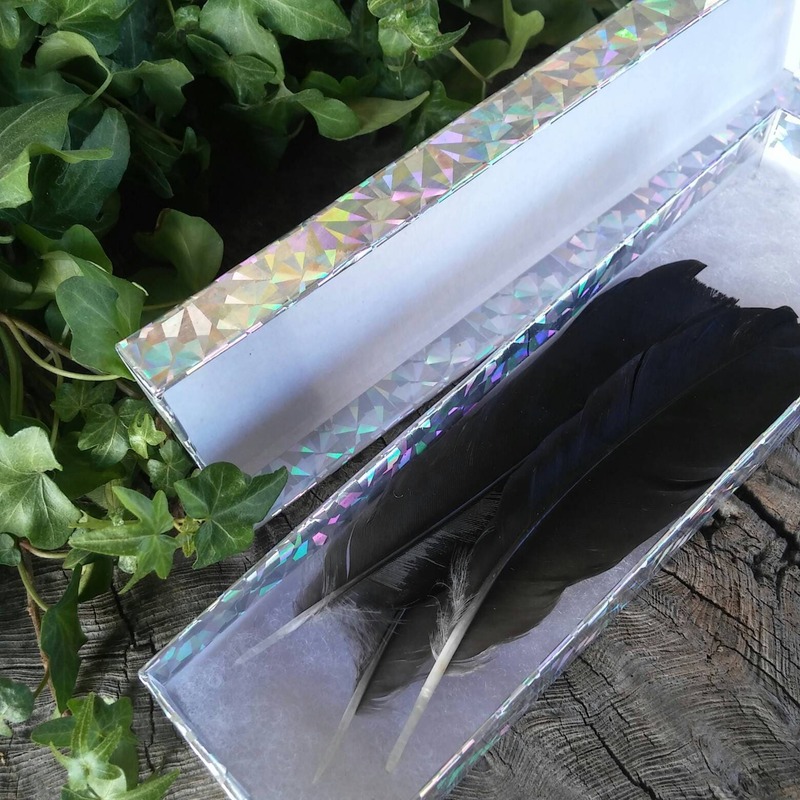 Feather gifts are always nice for crafters and these are gift boxed. These are approximately 7 inches long. 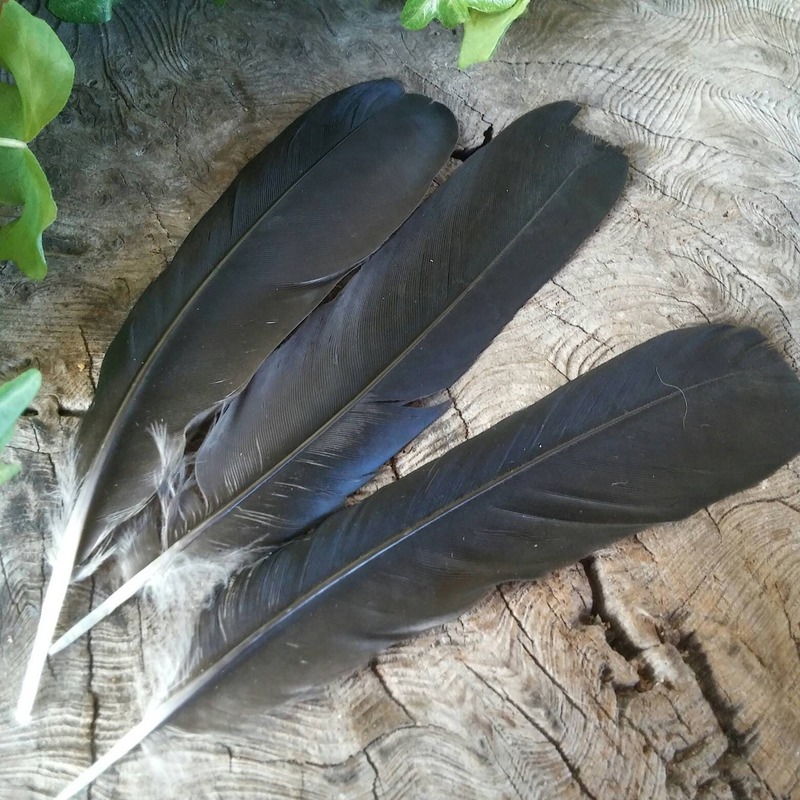 Sometimes it is difficult to get perfect crow feathers as they lead busy lives and many reasons as to why they aren't always perfect. 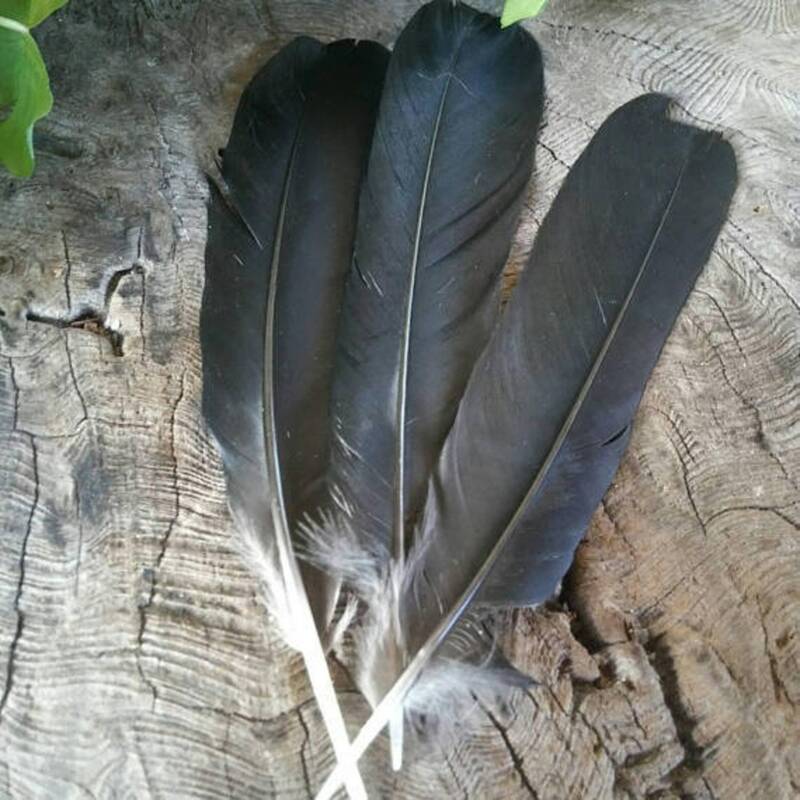 Crow feathers have been used in traditional witchcraft, or traditional craft for centuries. Crows are known for their monogamous relationship with their partner. They also always accompanied The Morrigan into battle, to scourge the remains of the dead. All who know Odin, can vouchsafe for the long-standing relationship with his crows, Hugin and Munin. 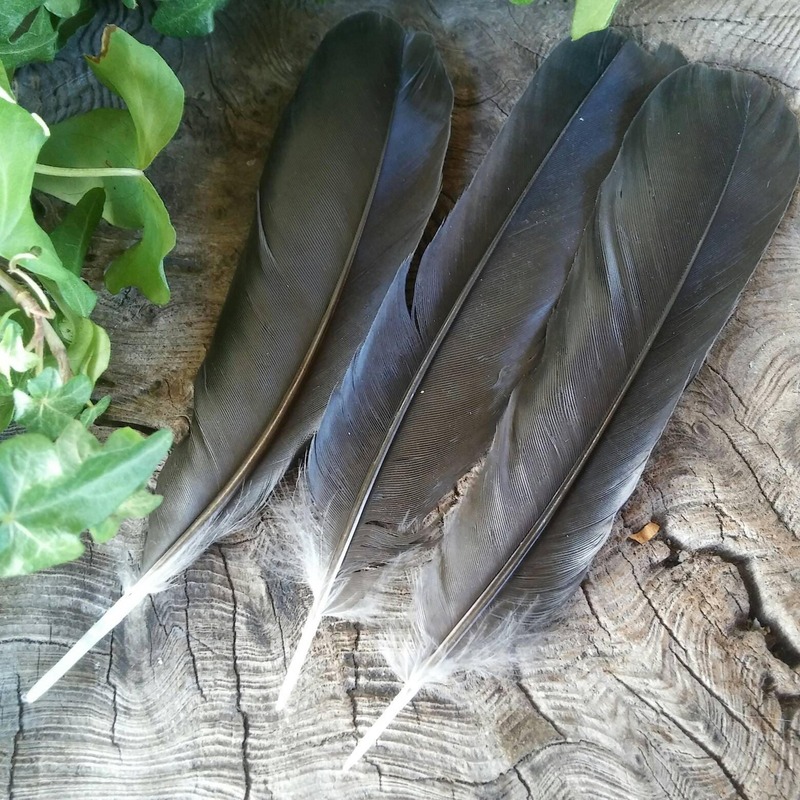 Use these feathers to bring crow energy/spirit into whatever you do for their strength is great. Please see our Witchcraft Supply section http://etsy.me/1XmqCcl for more magickal things such as smudge fans, parchment sheets, and more.